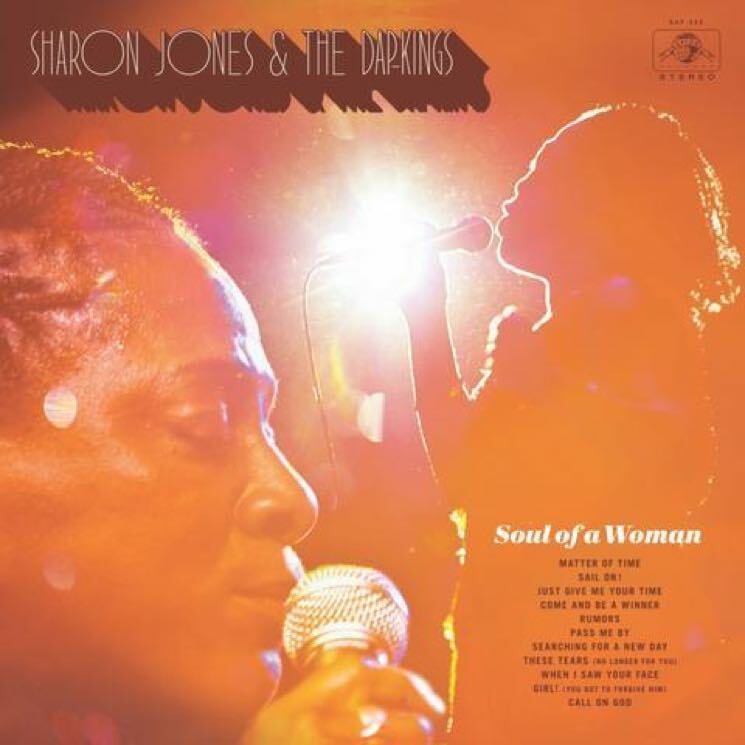 The most heartbreaking aspect of this final, posthumously released studio record by Sharon Jones and her integral partners in the Dap-Kings is that she, despite ailing with cancer, sounds like she's at peak power. This record reflects Jones' final sessions before she passed away on November 16, 2016, and is a purposefully dynamic exhibition of her eclectic modes in the Dap-Kings. Soul of a Woman highlights the whole outfit's power as the baddest live band on the planet while leaving enough space for their more introspective, orchestral impulses. For every rave-up like "Rumors," there's a timeless ballad like "Pass Me By," Jones digging into everything like it's fuelling her fire to perform, to live. If you've followed the Dap-Kings, you'll hear them stretch out a bit here, pushing the parameters of what we've come to expect from them. "Come and Be a Winner" is utterly unique and almost sounds like a deconstructed soul song. "Searching for a New Day" is deceptively simple, but it's a wild arrangement that requires focus and precision to nail — and nail it, everyone does. While Jones' illness is never explicitly referenced here, its shadow is present in some songs that address time passing and things ending, and the record is sequenced in a manner that makes it all the more emotional. By the time you get to its final song, "Call on God," you'll be spent.